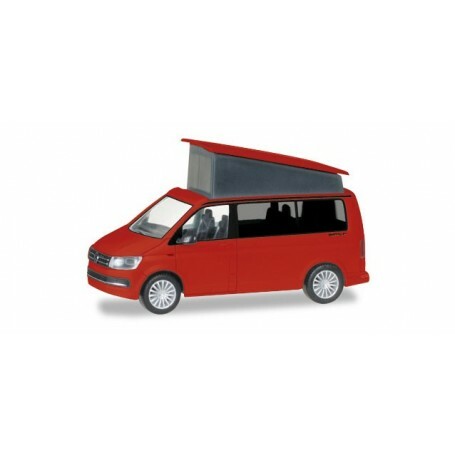 VW T6 California, cherry red. Next to the variant as bus and van, we now also release the motorhome California. The elevating roof can be dismounted in a few easy steps to simulate the driving version. The interior was also replicated authentically.